Even after four films, producer Avi Arad has big plans for the web-friendly franchise. 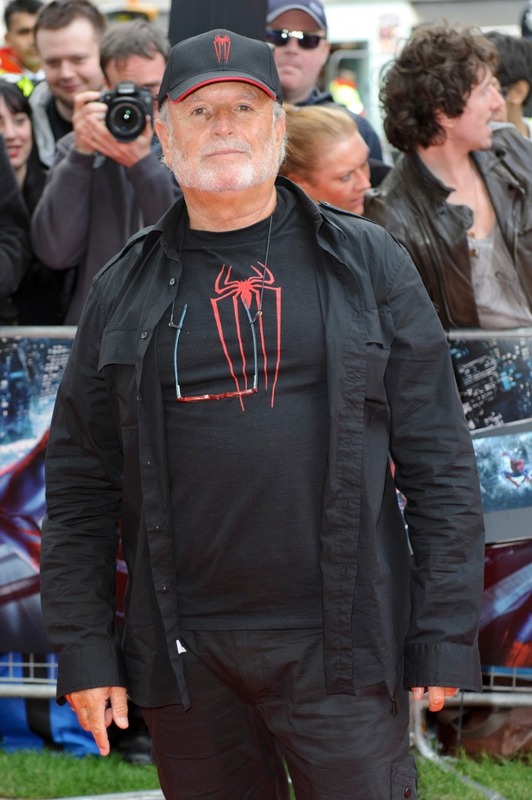 Executive producer Avi Arad hopes to shepherd another series of films for "The Amazing Spider-Man." As the man in charge of Spider-Man’s Hollywood destiny, producer Avi Arad knows better than most that with great power comes great responsibility. In the wake of director Sam Raimi’s popular trilogy of “Spider-Man” films starring Tobey Maguire and produced for Columbia Pictures by Arad, a decision was made to re-launch the franchise less than a decade after it first came to the screen with this week's "Amazing Spider-Man." Arad – the former CEO of Toy Biz who became the chief creative officer of Marvel Comics and later Marvel Studios from 2002 to 2007 before exiting to start his own production company – stayed at the web-head’s executive helm, handing the creative reigns over to director Marc Webb and his team and helping him land the new leads Andrew Garfield and Emma Stone. Arad tells PopcornBiz about why the new team was the right one to weave Spider-Man’s next cinematic yarn, and just how far ahead the new franchise has been planned. I imagine that the decision to start fresh with Spider-Man wasn't an easy one. So what was key about this take that made you want to do it? Emma Stone: "I'm Ready to Sleep for a Year"
Emma Stone chats about meeting Spider-Man fans all across the world while promoting her new movie, "The Amazing Spider-Man," and what she plans to do now that the movie is in theaters. For me, it was always the origin of Peter Parker, because in order for us to love Spider-Man we need to understand Peter Parker. And Peter has a story that is so relatable – not only to kids, but to all of us. Because the age when we really get screwed up starts when it happens to Peter. And that was a story that felt it would be great to open that saga. And obviously we have a new girl, a new villain, but the most important thing here is ‘Who is Peter Parker?’ And how good is this that a kid like him got the power?’ And that's what made it work. What sold you on Andrew Garfield and Emma Stone to be the new faces of 'Spider-Man'? Well, Andrew is the full package. He's funny. He can be awkward. He can be romantic. He's definitely charming. He's a great athlete. So it helped us to do things in a more visceral way. We knew Emma, and Emma is just – she's going to be one of the greats in world cinema, because she's a comedienne, she's a dramatic actor, she's strange, she's just so smart. And that really helped for this dynamic. Marc Webb says now he's going to wait and see how he feels in a little bit about directing any kind of sequel. How much thought on your part has already gone into what you want to do in the new franchise? A lot. We are writing the next one, which will be in 2014. And you're working with Alex Kurtzman and Roberto Orci on that? That's one. Two: because we are very comfortable with them, and they're fun-lovers. The way the story's built, it's a search. It's a quest by a boy, by a man. We are all missing something. How do we go about finding it? So what we are going into the future? We are gonna have great stuff coming up!